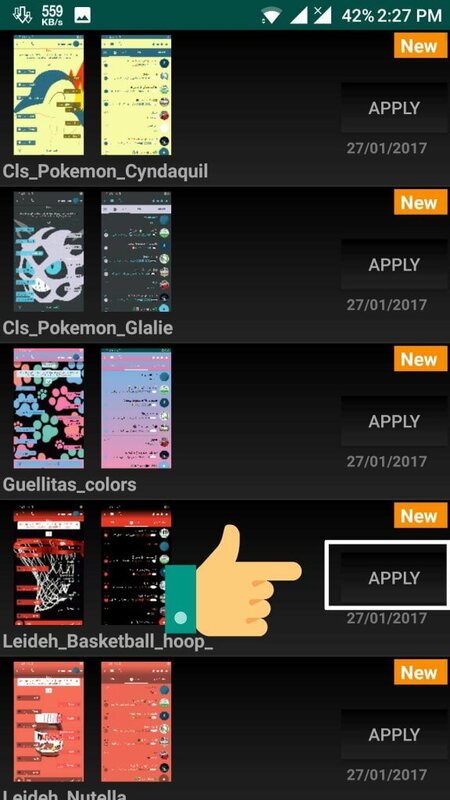 Hey Guys, If you want to apply themes in GBWhatsApp, then keep reading this Article. 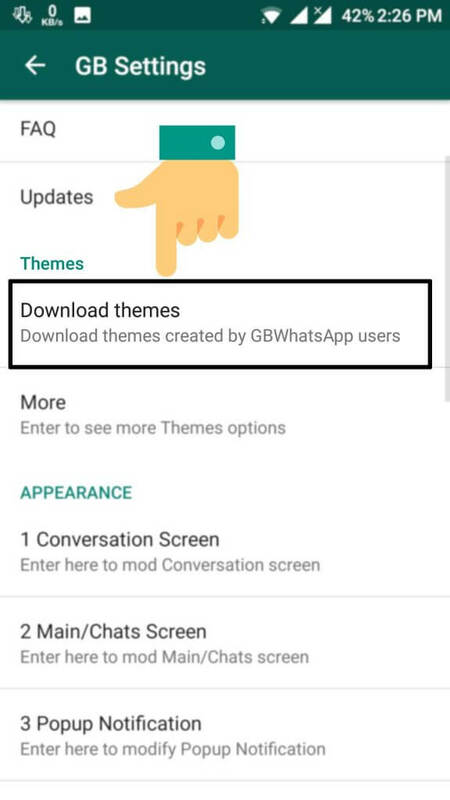 In this tutorial, we will tell you about how can you apply themes in GBWhatsApp. GBWhatsApp is one of the most popular WhatsApp mod, which you can use on your Android device. GBWhatsApp apk have lots of Cool features, in comparison to official WhatsApp. All the features of WhatsApp is already available in this GBWhatsApp app. But there are tons of extra features also available in this GBWhatsApp Apk. If you are still reading me, I suppose you have already Installed GBWhatsApp on your Phone. If you haven’t already, then Download GBWhatsApp now from our blog and Install it on your phone. This app is very powerful app if you are a regular WhatsApp user. This GBWhatsApp can be used on any of the Android device in which you can official WhatsApp. Read below tutorial to know more about how to Install GBWhatsApp apk on your Android phone. If you want to get a new look on your GBWhatsApp, then you can simply follow below tutorial. We are here explaining everything about how to Apply new themes in GBWhatsApp. You can download new themes of GBWhatsApp from below and apply on your Phone. Get stunning new look on your GBWhatsApp now from below. 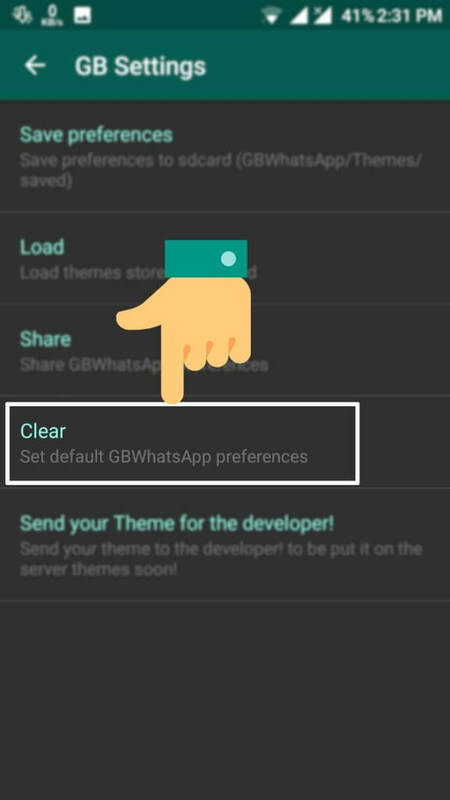 After Download & Install GBWhatsApp, open it from your phone, press menu button and Click on GB Settings. Now click on Download themes option from there. Select your favourite themes from the list, click on APPLY Button. 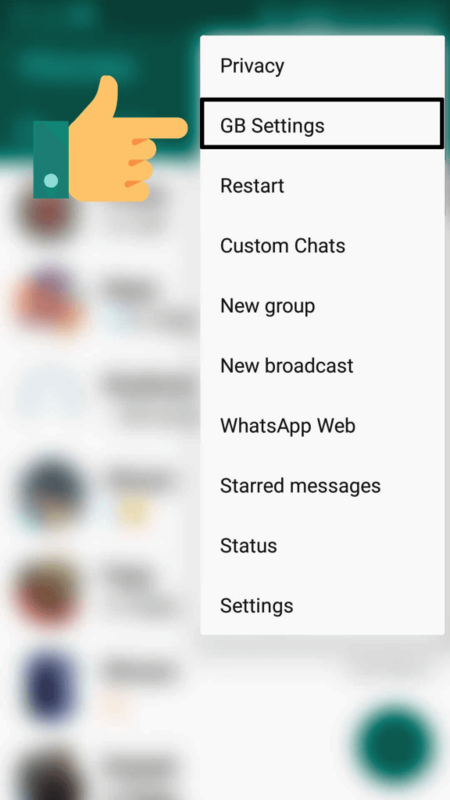 Once it’s applied theme, will prompt for restart GBWhatsApp. Click on OK button. 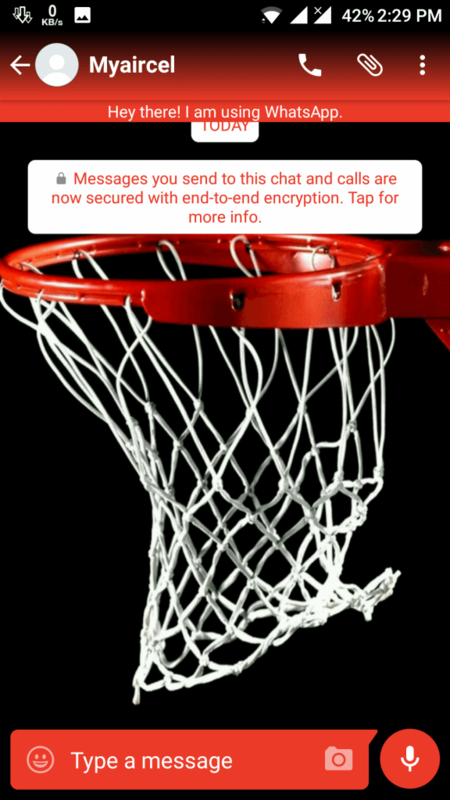 This will change full look & feel of your WhatsApp. This will apply themes on your GBWhatsApp. Personally, I don’t like the themes, but if you like you can install any of the theme on your Phone. There are thousands of themes available, which you can use in your GBWhatsApp. After apply themes, your friends gonna ask for sure which WhatsApp is this? 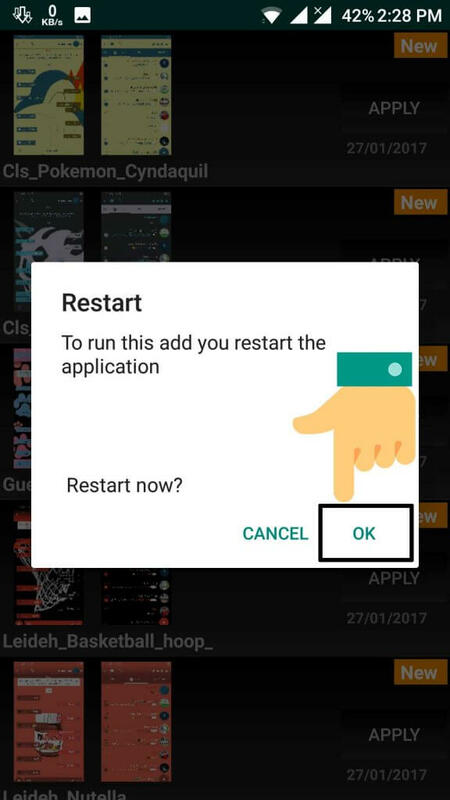 can you install it on my Phone? Anyways, if you haven’t liked the themes, then simply follow easy steps from below for remove themes from GBWhatsApp. Open GBWhatsApp from your Phone, press menu option and click on GB Settings. Under themes, click on more option. Then select Clear option from there, this will remove all preference and themes from your GBWhatsApp. 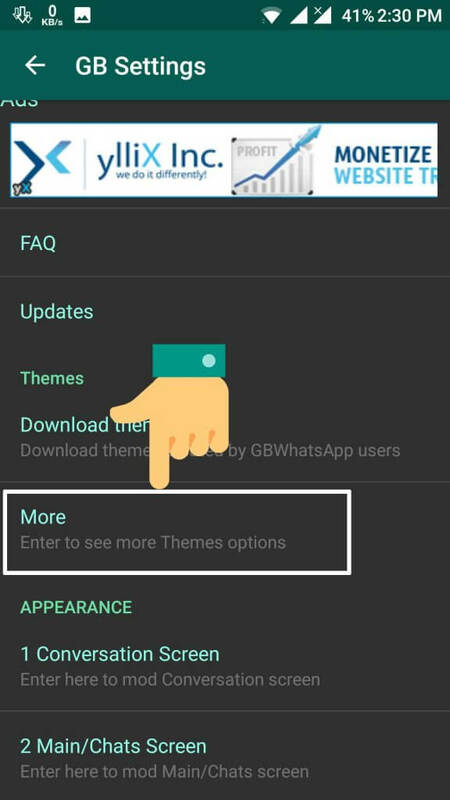 This is the way, which you can use for apply themes in your GBWhatsApp apk. If you want to know more about GBWhatsApp, or have any issues while follow this tutorial then you can let me know via comments Below. Stay tuned at our blog Modapksdownload for more cool stuffs like this.